Here we study Bragg regime polarization gratings (PGs) using an anisotropic rigorous coupled-wave analysis method. We simulate the most important diffraction properties without paraxial approximation, including the angular, spectral, and polarization responses. We first focus on the angular and spectral bandwidths of the transmissive and reflective Bragg PGs optimized for normal incidence. The effects of material birefringence and average index of refraction were investigated. Second, we examine the nonideal Bragg PGs with nonplanar director profiles and identified degradation in optical performance due to the high tilt of the liquid crystal director. Third, we simulate the polarization response of both types of Bragg PGs and observed complicated angular dependence of the polarization output. Qualitatively, good agreement can be observed between the simulation results and prior experimental work. Finally, we fit the measured angular and polarization data to retrieve actual grating parameters and demonstrated excellent quantitative correspondence, which can be particularly useful in closing the gap between design and fabrication. L. Nikolova and T. Todorov, “Diffraction efficiency and selectivity of polarization holographic recording,” Opt. Acta 31, 579–588(1984). J. Eakin, Y. Xie, R. Pelcovits, M. Radcliffe, and G. Crawford, “Zero voltage Freedericksz transition in periodically aligned liquid crystals,” Appl. Phys. Lett. 85, 1671–1673 (2004). C. Oh and M. J. Escuti, “Numerical analysis of polarization gratings using the finite-difference time-domain method,” Phys. Rev. A 76, 043815 (2007). M. Ishiguro, D. Sato, A. Shishido, and T. Ikeda, “Bragg-type polarization gratings formed in thick polymer films containing azobenzene and tolane moieties,” Langmuir 23, 332–338 (2007). X. Xiang, J. Kim, and M. Escuti, “Nanoscale liquid crystal polymer Bragg polarization gratings,” Opt. Express 25, 19298–19308(2017). M. J. Escuti, C. Oh, C. Sánchez, C. Bastiaansen, and D. Broer, “Simplified spectropolarimetry using reactive mesogen polarization gratings,” Proc. SPIE 6302, 630207 (2006). C. Provenzano, P. Pagliusi, and G. Cipparrone, “Highly efficient liquid crystal based diffraction grating induced by polarization holograms at the aligning surfaces,” Appl. Phys. Lett. 89, 121105 (2006). T. K. Gaylord and M. G. Moharam, “Thin and thick gratings: terminology clarification,” Appl. Opt. 20, 3271–3273 (1981). T. T. Sasaki, K. K. Miura, O. O. Hanaizumi, A. A. Emoto, and H. H. Ono, “Coupled-wave analysis of vector holograms: effects of modulation depth of anisotropic phase retardation,” Appl. Opt. 49, 5205–5211 (2010). Y.-H. Lee, K. Yin, and S.-T. Wu, “Reflective polarization volume gratings for high efficiency waveguide-coupling augmented reality displays,” Opt. Express 25, 27008–27014 (2017). O. Sakhno, Y. Gritsai, H. Sahm, and J. Stumpe, “Fabrication and performance of efficient thin circular polarization gratings with Bragg properties using bulk photo-alignment of a liquid crystalline polymer,” Appl. Phys. B 124, 52 (2018). X. Xiang, J. Kim, and M. Escuti, “Bragg polarization gratings for wide angular bandwidth and high efficiency at steep deflection angles,” Sci. Rep. 8, 7202 (2018). D. Lin, M. Melli, E. Poliakov, P. S. Hilaire, S. Dhuey, C. Peroz, S. Cabrini, M. Brongersma, and M. Klug, “Optical metasurfaces for high angle steering at visible wavelengths,” Sci. Rep. 7, 2286 (2017). B. Kress and T. Starner, “A review of head-mounted displays (HMD) technologies and applications for consumer electronics,” Proc. SPIE 8720, 87200A (2013). T. Todorov, L. Nikolova, K. Stoyanova, and N. Tomova, “Polarization holography. 3: Some applications of polarization holographic recording,” Appl. Opt. 24, 785–788 (1985). H. Akiyama, T. Kawara, H. Takada, H. Takatsu, V. Chigrinov, E. Prudnikova, V. Kozenkov, and H. Kwok, “Synthesis and properties of azo dye aligning layers for liquid crystal cells,” Liq. Cryst. 29, 1321–1327 (2004). D. Liu and D. J. Broer, “Liquid crystal polymer networks: preparation, properties, and applications of films with patterned molecular alignment,” Langmuir 30, 13499–13509 (2014). L. Tan, J. Y. Ho, and H.-S. Kwok, “Extended Jones matrix method for oblique incidence study of polarization gratings,” Appl. Phys. Lett. 101, 051107 (2012). Y. Weng, D. Xu, Y. Zhang, L. Xiaohua, and S.-T. Wu, “Polarization volume grating with high efficiency and large diffraction angle,” Opt. Express 24, 17746–17759 (2016). M. G. Moharam, T. K. Gaylord, D. A. Pommet, and E. B. Grann, “Stable implementation of the rigorous coupled-wave analysis for surface-relief gratings: enhanced transmittance matrix approach,” J. Opt. Soc. Am. A 12, 1077–1086 (1995). X. Xiang and M. Escuti, “Numerical modeling of polarization gratings by rigorous coupled wave analysis,” Proc. SPIE 9769, 976918(2016). X. Xiang and M. Escuti, “Numerical analysis of Bragg regime polarization gratings by rigorous coupled-wave analysis,” Proc. SPIE 10127, 101270D (2017). P. Ayras, P. Saarikko, and T. Levola, “Exit pupil expander with a large field of view based on diffractive optics,” J. Soc. Inf. Disp. 17, 659–664 (2009). I. K. Baldry, J. Bland-Hawthorn, and J. G. Robertson, “Volume phase holographic gratings: polarization properties and diffraction efficiency,” Publ. Astron. Soc. Pac. 116, 403–414 (2004). 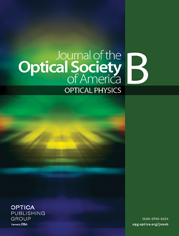 H. Mukawa, K. Akutsu, I. Matsumura, S. Nakano, T. Yoshida, M. Kuwahara, K. Aiki, and M. Ogawa, “8.4: distinguished paper: a full color eyewear display using holographic planar waveguides,” SID Symposium Digest of Technical Papers 39, 89–92 (2008). R. K. Komanduri and M. J. Escuti, “Elastic continuum analysis of the liquid crystal polarization grating,” Phys. Rev. E 76, 021701 (2007). Fig. 1. Director profile of a single-slant (i.e., single-twist) liquid crystal PG with nonzero twist. Fig. 2. Transmissive and reflective Bragg PGs operated in (a) and (b) transmissive and (c) and (d) reflective configurations where G indicates the direction of grating vectors. Note that both grating types can be configured in either transmissive or reflective operation, depending on the incident and output media, due to the effect of TIR. Fig. 3. Simulated angular and spectral responses of (a) a transmissive Bragg PG and (b) a reflective slanted Bragg PG with Λ x = 400 nm for circular polarized input with Δ n = 0.25 at 520 nm. Fig. 4. Simulated (a) angular bandwidth at λ = 520 nm and (b) spectral bandwidth at θ in = θ P = 0 ° of the transmissive and reflective Bragg PGs with Λ x = 400 nm and n ¯ = 1.65 for circular polarized input. Fig. 5. Simulated (a) angular response and (b) spectral response of the slanted transmissive Bragg PG with varying n ¯ and Δ n = 0.25 at 520 nm. Fig. 6. Simulated (a) angular response and (b) spectral response of the reflective Bragg PG with varying n ¯ . Fig. 7. Director profile of a slanted Bragg PG with nonzero tilt. Fig. 8. Simulated (a) angular and (b) spectral response of a transmissive Bragg PG with varying tilt of the LC director profile. Fig. 9. Simulated (a) angular and (b) spectral response of a reflective Bragg PG with varying tilt of the LC director profile. Fig. 10. Simulated first-order efficiency versus angle of incidence and ellipticity angle for the (a) transmissive and (b) reflective Bragg PG. Fig. 11. Simulated (a) zero-order and first-order ellipticity angles and (b) first-order orientation angles for both the transmissive and reflective Bragg PGs. Fig. 12. Measured and fitted (a) first-order angular response and (b) zero-order ellipticity angle of the transmissive Bragg PG for linear polarization (LP) and CP inputs.